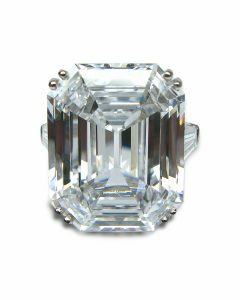 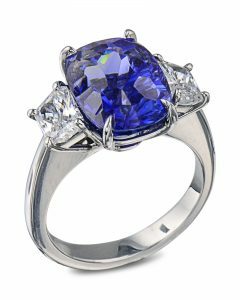 A platinum sapphire ring with white diamonds along the side of the ring. 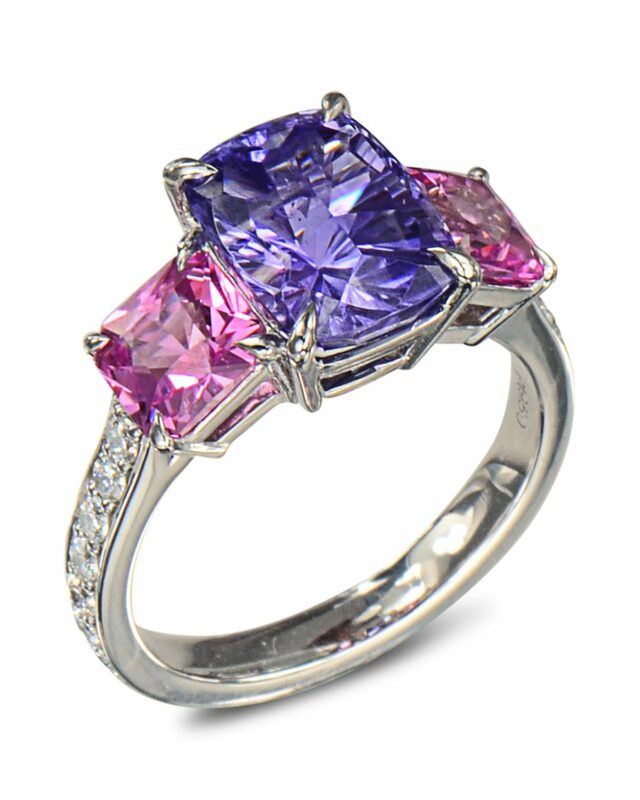 The violet sapphire is unheated and weighs 4.57 carats. 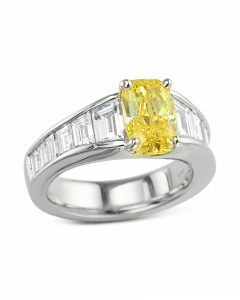 Cut by award winning lapidary, Mark Gronlund. 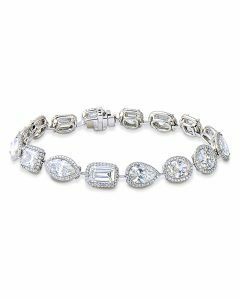 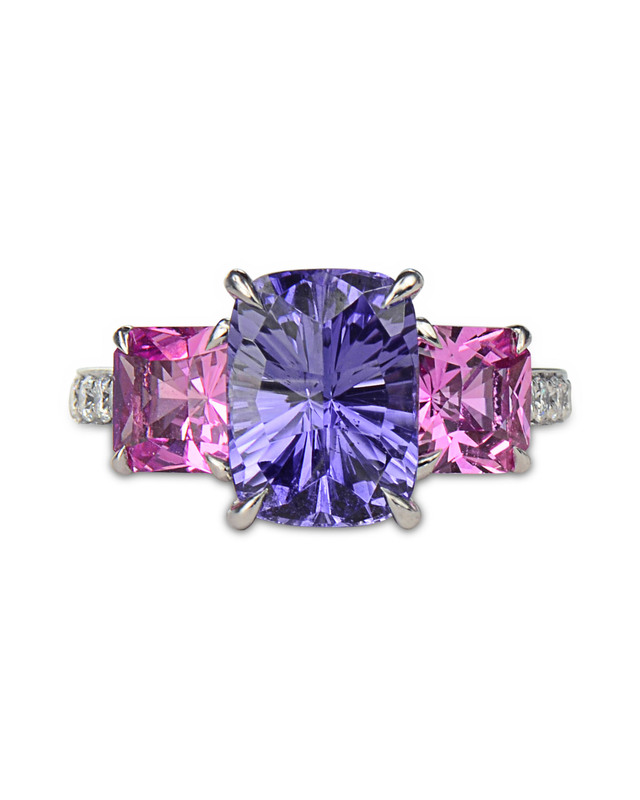 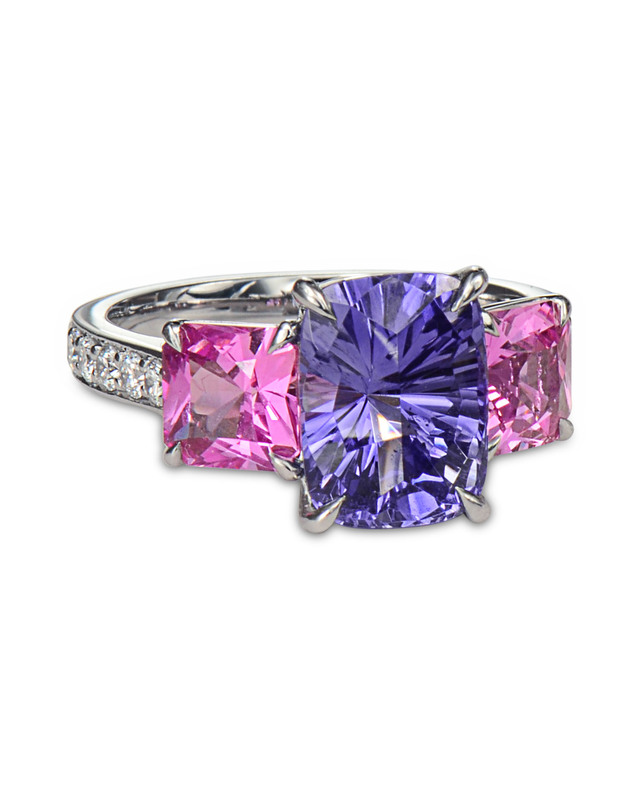 The white diamonds weigh 0.43 carats while the pink sapphires weigh 2.25 carats.